So far we have had 16 students studying the Journey Through Time enrichment programme including home schoolers and students from other schools - making for a challenging but enjoyable learning experience. Year 5/6 will be studying Black Ships before Troy - the story of the Iliad and the battle of Troy before moving on to The Odyssey – these stories are both more accessible for younger readers using Rosemary Sutcliffe’s versions, vividly illustrated by Alan Lee. They will also study Greek Mythology using D’Aulaire’s Book of Greek Myths – a favourite for many students. In Year 7/8 students will be studying the full version of Homer’s Odyssey before continuing on to study the Greek Drama Oresteia by Aeschylus – some of the most powerful and inspiring stories every told. The Odyssey is full of drama itself and not for the faint-hearted - but students return to it every year because of its powerful description of human life and the adventures and trials of the hero as he journeys home from Troy. Will he have his revenge and be reunited with his long-suffering wife Penelope? Come along to find out! 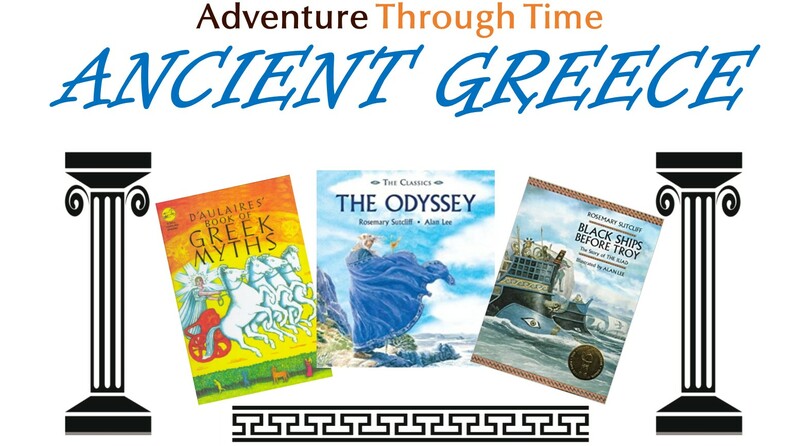 Every year a new generation of students falls in love with Ancient Greece. This is in many ways because it is the ancestor of Western Civilisation and many of our cultural treasures still draw on the Classical Greek period including democracy, the Olympic Games, our drama and love of beauty not to mention the philosophy of Plato and Aristotle. For Christians the New Testament was written predominantly in a form of Ancient Greek and the early Church shaped what was to become the Christian Greek Byzantine Empire after the time of Constantine. Enrichment students will get to study many of the greatest works every written and begin to share in the story of civilization. This is a great way for students to not only enhance literacy skills but also to prepare themselves for leadership and influence. Spaces are limited, to book your child's place visit https://www.trybooking.com/273868. Discounts available for Mundaring Christian College students. Contact the College Office for further details.